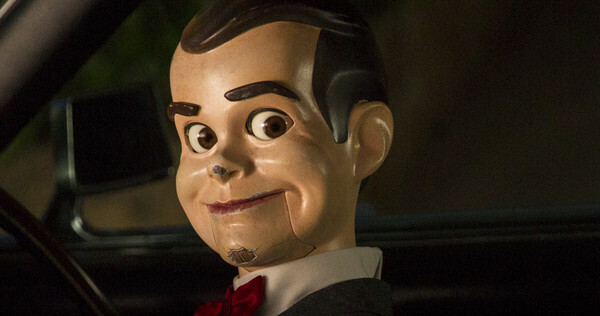 I’m surprised that Hollywood hasn’t made a ‘Goosebumps‘ film yet. I would have expected one or three at least a decade ago, given that all of the horror books by R.L. Stine have sold millions of copies and continue to do so. I guess the time is right more now than ever though as Halloween is approaching. I remember reading a variety of these stories back when I was very young and always remembered those iconic covers of each book. I wouldn’t say that they books really did any permanent damage, scaring me, but they were quite fun and entertaining from what I remember. They were always good, short reads, and straight to the point, with a small amount of heart, soul, and life lessons in between the mild scares. These characters and books were part of most people’s childhoods if you grew up in the ‘X’ or ‘Y’ generation. 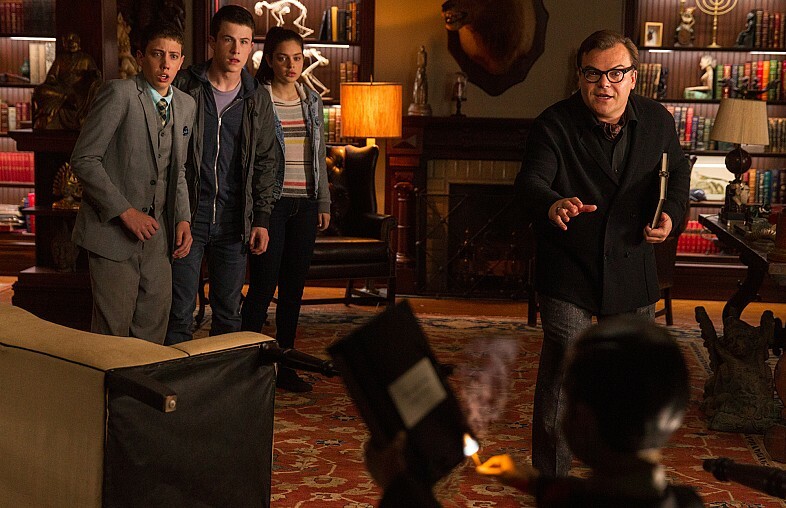 These generations now have kids of their own, and I’m quite happy to say that this film adaptation of ‘Goosebumps‘ should satisfy both adults and children. Directed by Rob Letterman (‘Cowboys and Aliens‘), this film follows a teenage boy named Zach (Dylan Minnette), when he moves in with his mother next door to Hannah (Odeya Rush) and her mysterious father who happens to be R.L. Stine (Jack Black), the writer of all the ‘Goosebumps‘ books. Stine is fairly kooky here in that fun Jack Black sort of way, and he wants almost zero contact from the outside world in fear that they will discover his writings, and for good reason. You see, if one of his original manuscripts is opened again, whatever monsters or creatures that are in those pages will come to life. Well it just so happens that Zach and his new fun, yet geeky friend Champ (Ryan Lee) accidentally open all of the books, and every R.L. Stine monster that is created gets out, including the Abominable Snowman, the lawn gnomes, the Giant Mantises, the Werewolf, and of course everyone’s favorite dummy, Slappy, who is more or less the leader of these creatures. Make no mistake about it, these monsters are pure evil and are out to kill any human in sight, which makes for some surprisingly suspenseful moments. This aspect is something I loved about this movie. Sure, some of the characters and dialogue are very silly and full of youthful humor, but when it comes to the monsters, they really didn’t dumb it down, but rather kept it lively, action-packed, and somewhat scary. It’s a great mix of both comedy and mild horror that should be fun for the whole family, along with some decent life lessons. The visual and practical effects were both top notch for a kid’s film, which was a delight to see as well, and the performances are all a bit over-the-top, but endearing. For what it is, ‘Goosebumps‘ is a highly entertaining Halloween film, perfect for the whole family, and I’d expect a sequel soon. This entry was posted on Wednesday, October 14th, 2015 at 2:29 pm	and is filed under Film, News. You can follow any responses to this entry through the RSS 2.0 feed. You can skip to the end and leave a response. Pinging is currently not allowed. « ‘Escape From New York’ Re-boot Finds Writer!! !